Climbing is all about movement, how we place our foot, drive through the toe, twist the hips, keep those arms straight, pull or twist the shoulders. This is the meat of every coaching session, moving, refining, identifying weaknesses, putting those weaknesses through drills then stress proofing them so we can pull these new skills out when we need them. 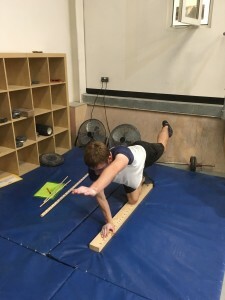 Our technique and skill is built on a strong performance base and that in turn is built on a strong functional movement base. Behind this is a huge array of movement patterns, strengths and weaknesses which enable us to use those techniques. With this in mind, I’ve been working towards key profiling and screening tools to help identify weaknesses, so as a coach and trainer I can work on the base movements beneath these techniques to help you achieve your maximum. 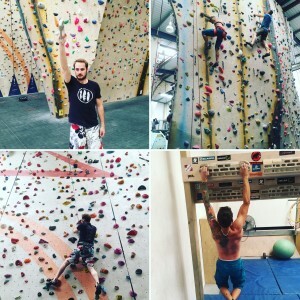 The emphasis is still all on the climbing and skills you need to improve, but with a detailed assessment of what other exercises will help you improve your mobility, stability, strength and coordination in key areas to help your climbing. Supporting all this is our new Fitness Screen, having trained and worked with many climbers, it’s obvious we all respond to different training stimulus. Some of us are naturally aerobically fit, other power houses with little base fitness. Training needs to be focused on the individual’s fitness base and physiology, tailoring a training program to who they are first, then zoning in on their goals once the appropriate fitness levels have been reached. With this in mind, I’ve developed and tested a 3 tier system, at the top in the primary Fitness Screen. This gives you detailed information on your aerobic and anaerobic fitness and a useful comparison to how others of the grade are moving. Next up is the Performance Profile, a 9 point test, looking at key mobility, stability and strength requirements for climbing. The final screen is the 7 point Functional Movement Screen(FMS). 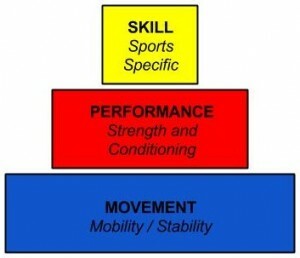 The FMS gives us a basic overview of how you move, this is the base that everything else is built on, if we get this right then our performance base can be stronger, more mobile and fitter and the performance skills (technique and movement) that we add to this and be more precise, fluid and accurate. 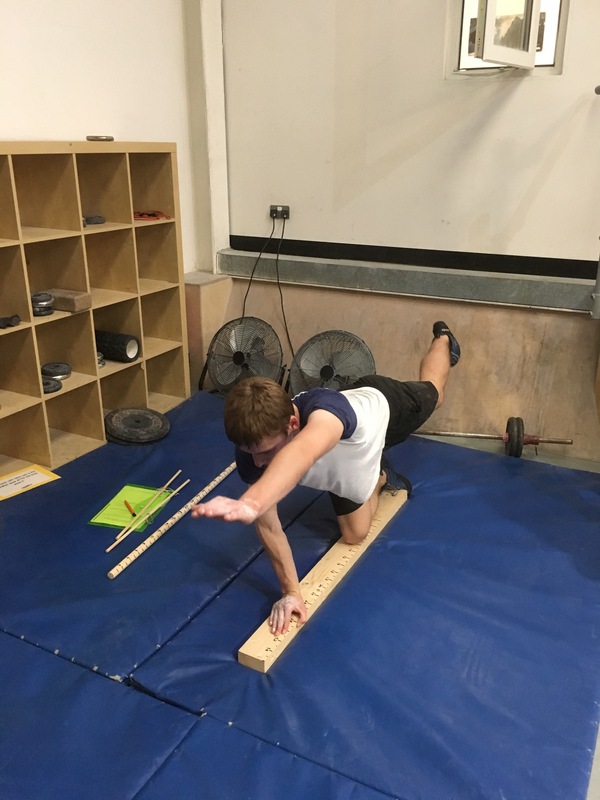 The Functional Movement Screen (FMS) in action. Bringing these performance profiling systems together allows us to deliver a strong and confident talent development program, when working with either squads or individuals. It gives us the tools to analyse and assess that the training is working and functional and performance bases are adapting to make us better climbers. It also puts in place key monitoring of athletes to reduce the risk of injury and allow the training to work. A huge amount of this performance profiling work was thanks to the contribution of many climbers and health professionals. Care for Health for the constant advice and discussion. Cafe Kraft in Germany of their knowledge and expertise, and the British Team coaches who have let me observe and watch their screening and profiling. Keep an eye on my website for more information or to book an appointment.